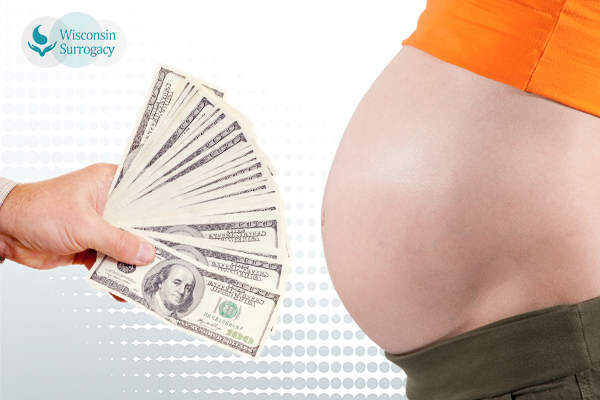 Surrogacy Guide Today: How Much Does A Surrogate Mother Get Paid? Many inquiries enter a potential surrogate’s mind when it comes to the issue of “How much does a surrogate mother get paid?” Apart from the actual process that a surrogate goes through, the matter of compensation is a key consideration and the subject of many discussions and debates. Before we respond to the question of “How much does a surrogate mother get paid?” let’s take a look at the guidelines for becoming a surrogate mom. Before becoming a surrogate, you must undergo an extensive selection process. This process includes paperwork, a variety of health checkups, and a thorough background check that covers your lifestyle, medical background, and work history. The agency will use the information it gathers to determine whether you are suited to becoming a gestational surrogate parent. After you have successfully passed the application, assessment, and evaluation processes, you will be matched to intended parents. This process requires attention to detail, as it will create uneasiness and apprehension for both parties if the match is not a success. Once a match is made, a surrogacy agreement will be drafted, then reviewed and signed by both parties. When all these steps have been correctly managed, the question of “How much does a surrogate parent get paid?” can be discussed further. A gestational surrogate mom can receive anywhere from $30,000 to $50,000. However, the payment a surrogate mother receives from the surrogacy journey is not her only reward. The fact that you have helped a couple become real parents is a great accomplishment.